"So what happens here? And what can you do to minimize the damage?" 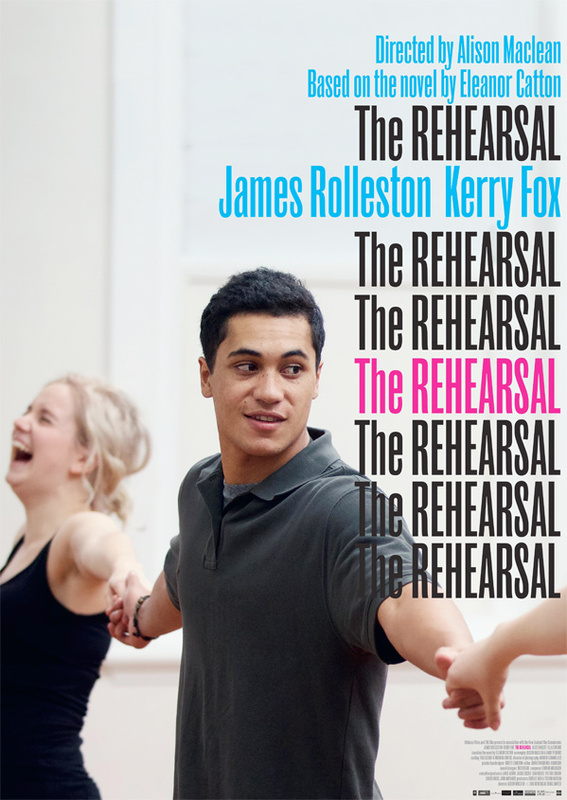 The first trailer has arrived for a film playing at this year's Toronto Film Festival (TIFF) called The Rehearsal, from Canadian director Alison Maclean. It's a complex drama about a first-year acting student who "mines his girlfriend's family scandal as material for the end-of-year show at drama school." Yeah, that sounds a bit crazy, but this looks damn good. James Rolleston stars, along with Ella Edward, Alice Englert, Kerry Fox and Michelle Ny. I am expecting some exceptional performances from a film about acting, and from what I can tell, there will be plenty. The song featured in this is "Fragile" (MCHNCL Remix) by Maya Payne & Kabyn Walley. See below. Alison Maclean returns to her New Zealand filmmaking roots with a multilayered coming-of-age story about a young actor (James Rolleston) searching for the truth of a character he’s playing onstage and the resulting moral dilemma in his personal life. Set largely in a drama school, featuring Kerry Fox as a diva-like teacher who tries to shape her student’s raw talent, The Rehearsal, adapted from the novel by Eleanor Catton, demystifies actors and acting in order to reveal the moments where craft becomes art. The Rehearsal is directed by Canadian filmmaker Alison Maclean (Jesus' Son), from a script by Maclean and Emily Perkins. The film will premiere at the Toronto Film Festival this fall. No US release has been set. It is very refreshing to go into film knowing nothing about the writer, director, producer, or actors. Quaint, I think.